Do Mug Shots Websites Show on Google? How much does a complete mug shot removal cost? How long does it take to remove mugshots online? Is it illegal to publish mugshots online? No. These websites are unfortunately protected under the FOIA (Freedom of Information Act of 1966) as well as the First Amendment. Mugshots and arrest records are considered public information, the individual that own these mug shot websites chose the publish them onto Google for convenience. Your online reputation lasts forever — whether the results are positive or negative. Embarrassing comments and photos will resurface and may hinder future opportunities with your career, housing situation and even your family. Criminal documents such as your arrest information and public mugshots are accessed and exploited online. Mug shot removal websites have engineered a business around displaying arrest records and strict payment to delete the photos. EraseMugshots.com is currently the leading mugshot removal agency on the internet. Furthermore, victims currently have several choices to get rid of these damaging mugshots from Google, Bing, and Yahoo. Removing your mug shots online is very possible as long as you know the laws that govern publishing mugshots on the internet. 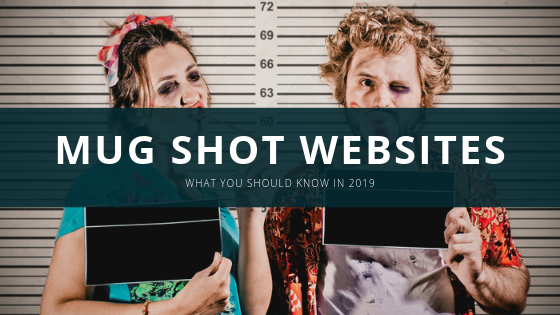 Let’s dive into who these sites are and how you can work to remove you arrest details from mugshot websites in 2019. Mugshot websites scrape arrest photos from county police websites and post them online. In addition, these sites unfortunately typically rank favorably, and will more often than not be found on the first page of Google when users type in your name. As a result, these mugshot publications may cost you jobs, dates, or perhaps the ability to apply for credit. Apart from paying to remove your information you can publish new and fresh information on high authoritative websites in efforts to suppress your negative content on Google. In the past mug shot websites have found themselves amidst various lawsuits. Sadly the law does not see anything wrong with them which is the most concerning part. As long as the website does not harass you and demand a payment they are free to publish arrest records in various states across the nation. 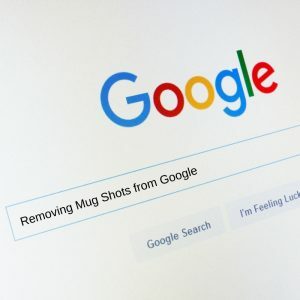 However, thanks to new laws and policies from Google, many mugshot websites have gone out of business or fallen off the first page after a recent algorithm update which severely penalized these type of websites. All mug shot websites claim that the individuals they post are innocent till proved guilty. This helps when they are sued because that will always be a fact, by not updating the disposition of the arrest they are within the confines of the law. Mugshot websites additionally state that data on their sites shouldn’t be used during the hiring process, housing decisions, insurance claims or for alternative business-related functions. Regardless, once another individual sees your mugshot it will deter them from working with you as they automatically assume you are a “bad person” with a negative reputation. Mug shot websites do not tell the whole story and EraseMugshots wants to change that. What makes Rapsheets.org so bad? It is simple, RapSheets does not remove anyone’s arrest information without expungement documentation. This means you must hire an attorney to seal your charges on the county level before they will remove your information. Go figure. This is a website owned by two gentlemen out of their basement and they are “requiring” legal documentation. For what?! This has negatively impacted thousands of individuals as many charges are dropped but not expunged. The worse part about RapSheets is that they typically rank well on sites like Google, Bing, and Yahoo. By not including any mugshot or arrest keywords in their domain name they are able to bypass any algorithm changes by Google. If your information is located on RapSheets please click here to remove it. BailBondCity is owned by the SAME people as RapSheets so it is only fitting that they are number two on our list. Expungement documentation is required to remove or update any arrest details on this mugshot website. Contact BailBondCity directly here. Busted back in May of 2018, the owners of Mugshots.com were arrested after extorting thousands of individuals Mugshots.com is most likely the most infamous mugshot website we have seen to this date. Charging anywhere from $300-500 for a single mugshot to be removed to the general public. Most of the time they will call or email you directly demanding that you pay them in order to have your information removed. If you refuse the pay you will most likely receive a nasty, degrading respond from the owner himself. If your information is located on Mugshots.com contact us today and we will design a removal solution perfectly catered to your needs and budget. Based in Boca Raton, Florida, BocaBusted is fairly compliant when requesting a mugshot removal. The only downfall and the reason we included them on our list is that BocaBusted only accepts payments via BitCoin. The general public is unfamiliar with BitCoin or Cryptocurrency which can make it nearly impossible to remove information. In addition, BocaBusted will not remove violent charges (domestic violence, assault with bodily harm, etc.). As many may assume, LookWhoGotBusted claims to have no affiliation with either BustedNewspaper or BustedMugshots. This mugshot website is another publisher of arrest records on the internet that claim to be the “most up-to-date in the industry”. “If charges were dropped or if the record was expunged or there is an error for which you have documented proof, email us by clicking on this email address: lookwhogotbusted@gmail.com. Note: Clicking there ensures we know which exact post you’re referring to. DO NOT CHANGE THE SUBJECT OF THE EMAIL. Please forward supporting court documents by attaching copies to your email, and upon confirmation, we will gladly remove the post at no charge. Lawmakers are working to shut down these websites that have protected by the First Amendment. Georgia state representative Roger Bruce introduced a new law that currently makes it a criminal offense for websites to charge Georgia citizens to own their mugshot removed. So what did these sites do? Stopped removing but kept publishing, this solution ended up hurting the public more than before. At least in the past individuals had the chance to pay to remove, now they must suffer indefinitely. Mugshot websites currently have thirty days to get rid of a photograph or may be a violation of the law. Having the pay fines for not complying with freely removing those records that were expungement, dismissed, or sealed. The one major pitfall with this law is that mugshots are still public. This means if an individual cannot pay the website to remove the information it will remain online forever. Google has recently started to make many algorithm updates in order to suppress or possible noindex mug shot websites. In fact, Google recently launched a brand new algorithm in Oct 2013 that specifically targeted these mugshot websites. As a result, arrest photos were pushed down or removed from search results. Whereas mugshots still exist online, they’ll not rank within the prime results for a person’s name. Although many websites have found their way around this update, it has significantly reduced the number of arrest details shown on page one for nearly all those arrested. With lower visibility in Google search results (or SERPs) and restricted ways of payment, mug shot websites seem to be losing steam. While online mugshots are now not as must of a money making scheme as before, these websites are still able to profit in different ways that (i.e. advertising etc). Specifically, these shady websites currently create cash through Bing, Yahoo and Google ads for bail bonds companies across the nation. As long as websites host mugshots online, your arrest photo could show up. Though mugshots now do not rank high enough to dominate your search results, they are still creating controversy. Websites like Mugshots.com, BustedNewspaper.com, and BustedMugshots.com state that reserved inmates can’t pay to have their pictures removed. Many mugshot websites that do not offer removal options only keep a particular arrest on their website for a maximum of 90-days before it is automatically removed. That’s excellent news for folks with previous arrests. However, deleted photos might not extremely be gone from the web. Potential employers, creditors, may still find your arrest record if they check cached web content. If you are you aiming to remove your mugshot and arrest details online but cannot figure out how. Don’t lose hope. You have options, in addition, there may be many laws working in your favor to assist throughout the process. Communication with the websites may be a smart beginning, however, keep in mind that they’ll not be desirous to facilitate your removal request without proper documentation. When contacting them either via email or by phone remember to be polite and not aggressive they may blacklist your information from ever being removed. Your state might have a law that requires mugshot websites to delete your arrest information upon request. Typically, they need to be taken down inside thirty days of being contacted with the request, or they’re going to be in violation of the law. 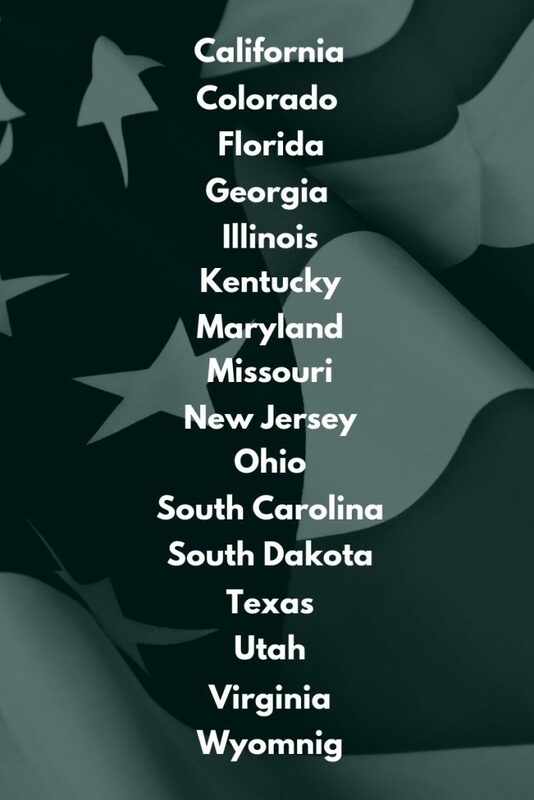 Georgia, as well as a few other selected states, presently have these laws. We expect many other, if not all, states to follow in their footsteps soon enough. If your state doesn’t have any mugshot removal laws, evoke one. Contact your state lawmakers and encourage them to create a law that will make it easier for you to manage your online name. Hire a reputable online reputation management agency to work on your side to combat these unwarranted publications. Here at EraseMugshots, we offer a FREE REMOVAL ANALYSIS for anyone that fills out a form. In addition, all removal solutions come with a lifetime guarantee or your money back. Our removal specialists will scour the internet to uncover all mug shot websites publishing your booking information as well as monitor your results for up to 12-months afterward to ensure a successful removal. Ultimately, the outlook is positive for people scuffling with online mugshots stemming from a previous arrest. If you’re featured on a mug shot web site, search out each choice attainable to urge them to remove your picture. Take action, and defend your online name. Learn more about how EraseMugshots.com removes mugshots on the internet. On average, for a complete removal solution (5-10 mugshot websites) the cost ranges from $500 – $3,500. All of EraseMugshots.com removal solutions are 100% guaranteed if we fail to remove your mug shot online (which we won’t) you are entitled to all of your money back. When performing a complete removal the process generally takes about 5 days for the website to comply with our takedown notice. Following a successful removal of a mugshot website, we must notify Google so they can update the search results. The second half of the solution takes anywhere from a few hours to two weeks depending on how busy Google’s team is.